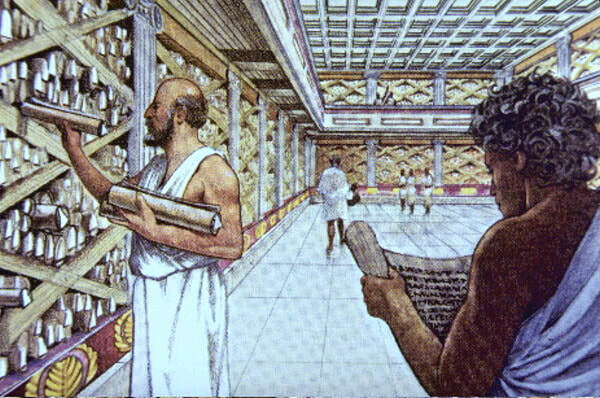 Among the greatest of historical tragedies was the destruction by the Romans of the great University of Alexandria, Egypt, and the burning of its Great Library, said to contain all of the written knowledge of the known world. This happened in about 400 A.D. The documents were destroyed, but not all of them lost, however. It turns out that archaeologists, sifting through an ancient rubbish dump in central Egypt, came upon a cache of original papyrus documents about 100 years ago. While suspected of being an important find, the documents appeared to have been lost to age and weather. They were not only decayed and blackened from age, but worm-eaten. The information written on the parchment was impossible to view at that time. But the parchments were carefully preserved in the hope that new scientific methods would be developed for capturing the data. That so much information was so hardheartedly burned by Christian invaders probably meant that there was "heathen" writings in those manuscripts that conflicted with Christian doctrine. It is exciting to think what information they will discover.